Black Leaf is known for their elaborate smoking devices and this one captivates with its details. This pipe is constructed in such a way, that it produces a whistling sound every time you take a hit! Produces a whistling sound every time you take a hit! 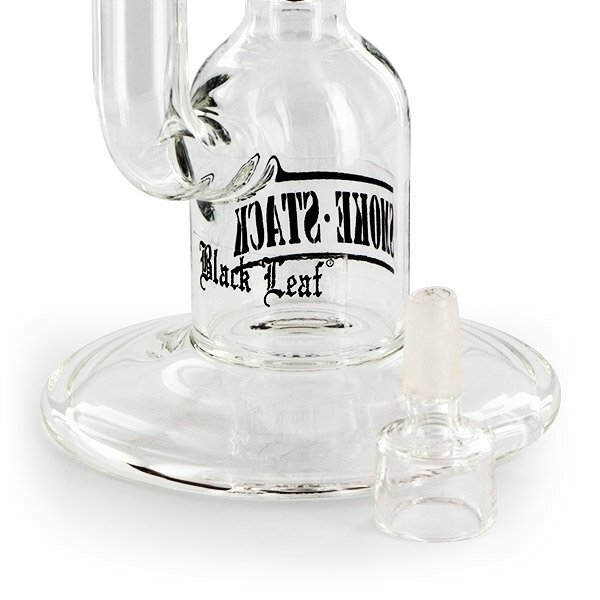 Black Leaf is known for their elaborate smoking devices and this one is no different. The framework is simple - the smoke travels from the bowl through a goose neck leading down to a wide bottom chamber, then back up through a narrower four-chambered tube into the top chamber equally wide as the bottom one and then through the slightly bent mouthpiece. So far, so simple, but the really cool stuff is in the details. The bowl is endued with a handle, making it easy to lift the bowl without burning your fingers; in addition to that it prevents the bowl from rolling down the table. 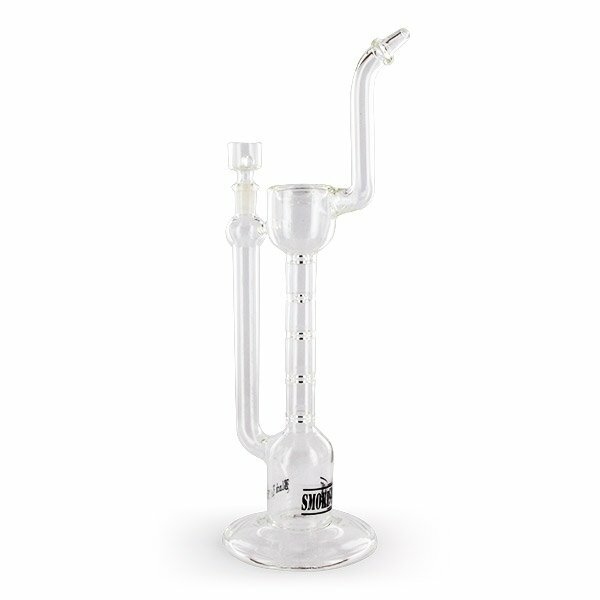 Another great detail is the trough in the top chamber, in which you can place your concentrate. But what's really baffling leaps to the eye (or rather ear) when using the pipe - the four-chambered tube is constructed in such a way, that every time air passes it, it is swirled in a way, that it produces a whistling sound!